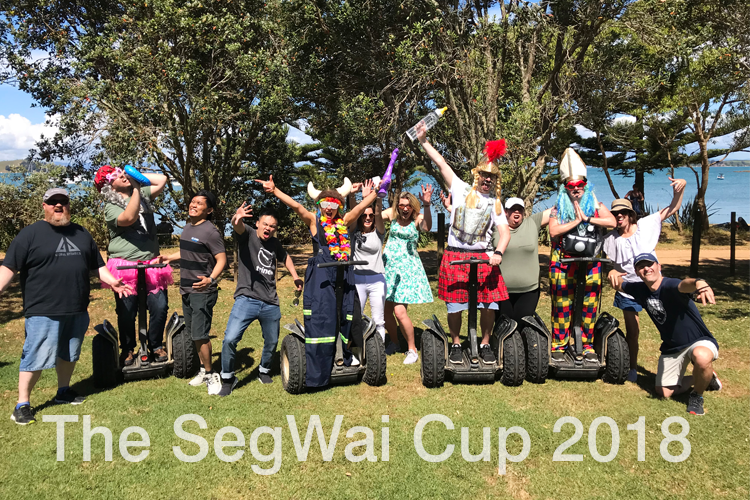 Yet another amazing day at Man O’ War Vineyard on Waiheke and a perfect day to test the skills of one of our local business by pitting them against each other for bragging rights and, of course, the SegWai Cup itself. We had a fantastic day and a special thank you goes out to Love My New Zealand for helping organise the day! If you want to make your next team building or training event something to remember get in touch with us today. Summer is most definitely on it’s way and we’re having loads of laughs and a great time showing off the natural beauty that is Waiheke Island. I love watching visitors experience the thrill of gliding around on the latest off-road X2 Segways. Whether you’re a newbie or an experienced rider you should head over and join us for a fun day exploring the island! 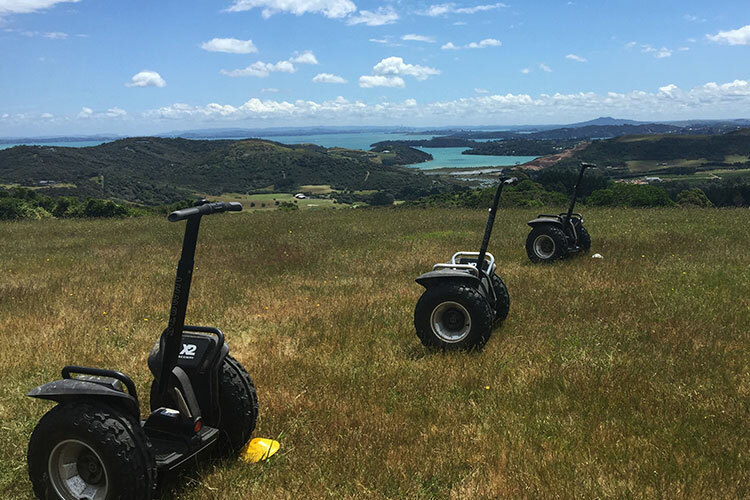 Interested in taking an off-road Segway Journey on Waiheke Island but are just a little nervous about driving a Segway for the first time? The Segway has an impressive array of electronics including 5 gyroscopes and tilt sensors as well as technology called “Dynamic Stabilisation” to calculate your position and make adjustments 100 times every second. It’s like a high-powered computer working constantly to keep you and the Segway upright and as balanced as possible. It does most of the work for you even over rough or uneven terrain. The Segway quickly feels like an extension of your body making it easy for you to remain confident, comfortable and in control. 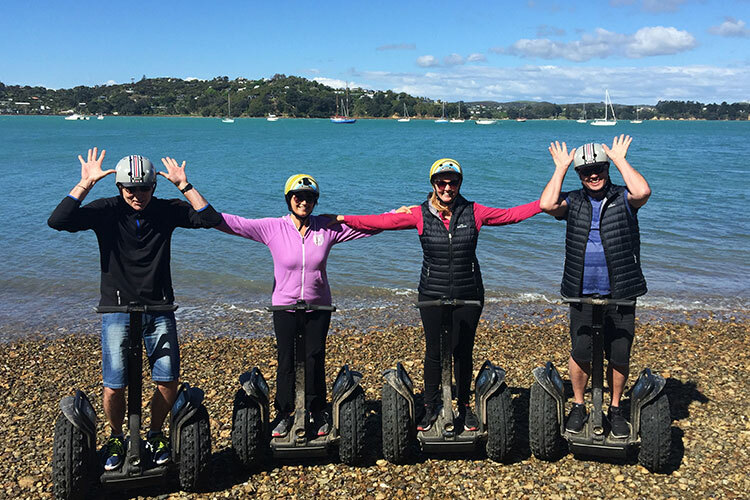 Large off-road tyres allow us to explore all sorts of hidden places around the beautiful Island of Waiheke, from beaches, along coastlines, through the bush and around vineyards in safety and style. Did I mention that it’s actually loads of fun! SegWai offers a unique insight into Waiheke Island with specially selected routes that leave you wanting more. You can book for up to 6 people 362 days a year. For more information have a look at out FAQ page, check out our tours here or get in touch now. 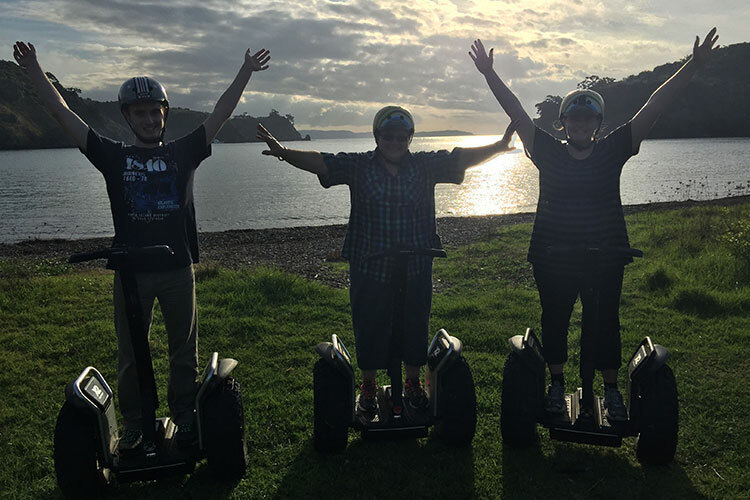 What a beautiful afternoon as the sun sets over Owhanake Bay and what a great day for a Segway glide around Waiheke Island… cool, crisp & sunny. We see some gorgeous hideaways on our tours and picture postcard locations so why not jump online and book an adventure with SegWai. Join us for the thrill of the ride, the calm and beauty of the environment and… well, it’s just plain fun! It’s team building at it’s finest incorporating plenty of laughs, some friendly sledging and even some cheating (ahem). 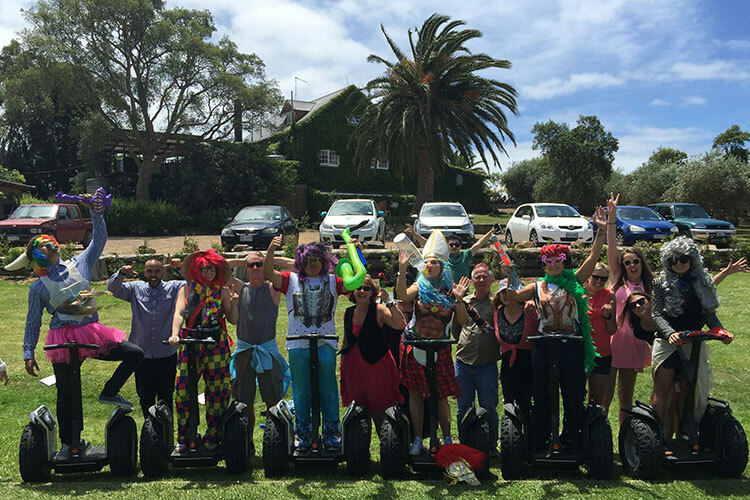 SegWai have been putting the corporate teams through their paces as we raise the competitive bar with Segway Games. In the end one victorious team took home the coveted SegWai Cup. Did I actually just see a Bishop in a kilt racing a Viking in a pink tutu on Segways at Stonyridge Vineyard? Thanks for an excellent day guys.